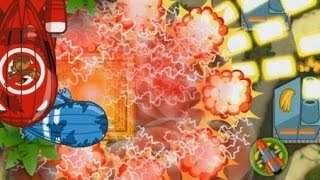 Superjombombo says you can win every battle with this strategy... can you? 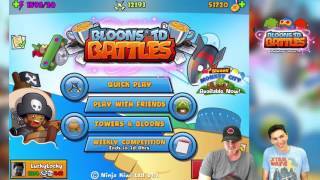 How good do you think you are on BTD Battles? No better way to test it out than on a random trio challenge! 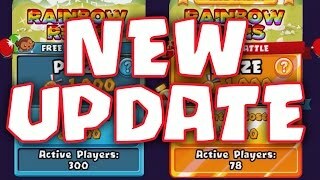 Molt goes through all the new features and shows what this Club thing is all about! BTD5 - Mastery Mode Unlocked! How Impossible Is it?! 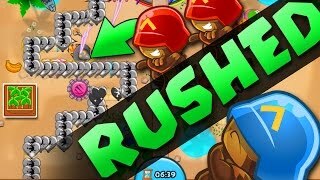 Superjombombo plays and explains the new awesomish super hard mastery mode on BTD5! 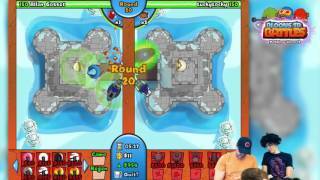 BTD Battles - Make them surrender! 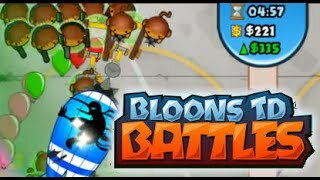 BTD Battles - Cobra's Bloon Adjustment MADNESS! 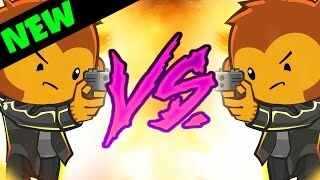 BTD Battles - Bruno and Locky Play CRAZY Arenas! Ceramic Crucible action is always good action! 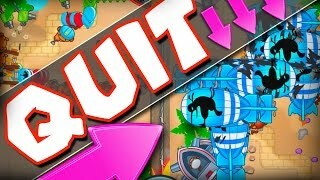 BTD Battles - The Fruitastic Challenge! Superjombombo has to name different fruits because... IT'S THE RULES! 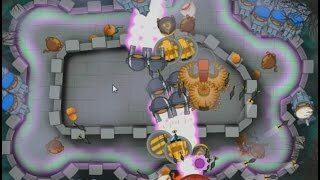 BTD Battles - Countdown for #1 at Weekly Competition! Ever wondered how it feels to win the weekly leaderboard? 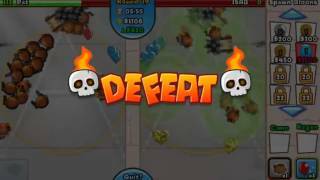 BTD Battles - Cobra Eco and AWESOMENESS! Awesome matchup with lots of Cobras and fun strategies! Craziness and late game attempts by Todd, Locky and Bruno! 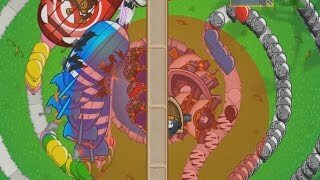 BTD Battles - Extreme Moab Pit Late Game! Awesome Moab Pits and tips from Superjombombo! 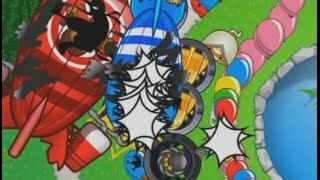 BTD Battles - Random Moab Pits! With 10.000 medallions on the line, intense matches are guaranteed! 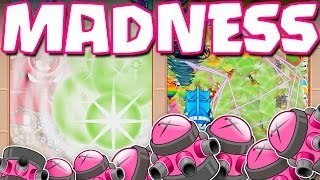 BTD Battles - Tack Shooter Madness! How powerful can those tacks be? 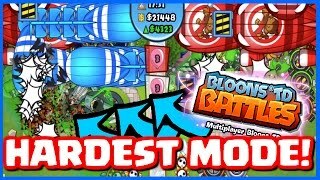 BTD Battles - How to destroy MOABs! 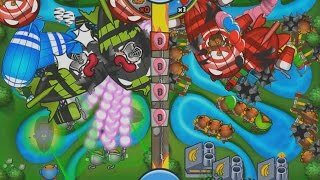 Superjombombo makes a good tutorial on how to make good stands against those big bloons! Warning! Cool matches and randomness ahead! 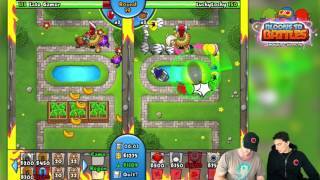 BTD Battles - Randomizing towers and rushes! 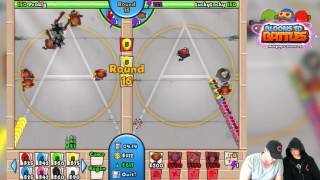 ISAB plays some battle arenas and struggles with the new update changes. Learn from his and other's mistakes!